This weekend was great... in fact it was amazingly great. So great that I forgot to take hardly any photos. : : Finishing a puff-stitch beanie for a precious lady fighting a tough cancer battle. : : Meeting my Aunt for the very first time! : : Love church - especially when the xylophone gets played (this song). 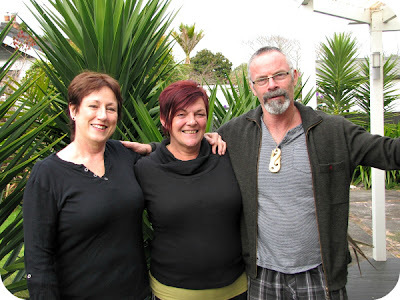 : : Loved having Symon's big sister up to visit - she's awesome. : : And I am really excited about only working 3 days from now on (starting tomorrow!). What's happening in your world?? p.s. 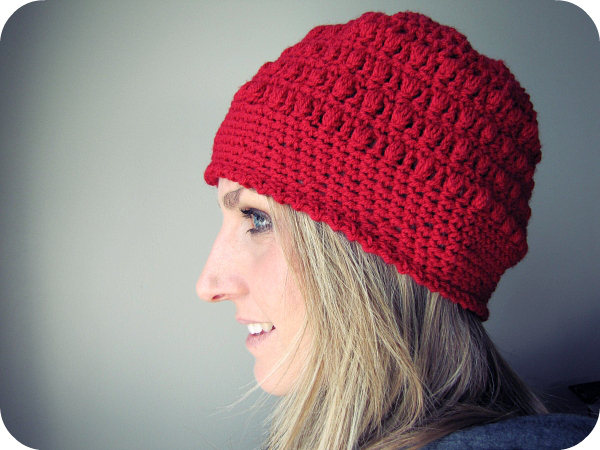 for those of you who are keen to try the beanie... here is the pattern I use. Awww... that's lovely!! (Is that the one for Aveena??) She will LOVE it if it is!!! Thank you lovely woman! I love the beanie Kristy!! I am going to have to try that one. Very cute hat! Thanks for sharing the pattern. Awesome post - I can feel the joy oozing through the computer screen. Your hat is lovely - what a fantastic gift. Oh and wahoo to 3 days a week!! Thanks for the beanie pattern! Sounds like an awesome weekend!